For wireless convenience, we are placing at risk the health of generations of children! 1. Microwave radiation was classed as a 2b carcinogen by the World Health Organisation (WHO) in 2011. It took a lot of scientific conferences and lobbying, to get to the point where the WHO made this classification. A lot of independent scientists feel the WHO has not gone far enough. 2. Children and foetuses are much more sensitive to microwave radiation than adults. The cells of children and a foetus are dividing much more quickly, plus their immune systems are not properly developed. Limiting their exposure to microwave radiation is important! Children in Australian schools are now being encouraged to use wireless connected tablets and laptops, at an ever increasing early age. In my opinion this is criminal. This will expose millions of children, to an unprecedented amount of microwave radiation. This exposure could result in an epidemic of serious illness in the future, amongst this generation of children. It can take five, ten, or twenty years, before illness from exposure to this type of radiation manifests! We should be taking a precautionary approach when it comes to children's health. The Australian Government is aggressively implementing this program, despite the fact that other Governments around the world are banning WiFi in schools, and using wired networks. The Australian safety standard is 100 to 10,000 times higher than other countries. It is from the 1950s, and is based on the thermal effects of a six minute exposure, to an adult human body. Watch these two very informative videos created by “WiFi in Schools Australia.” This organisation is made up of parents who have researched the biological effects of EMR. “Wifi in schools web site”. Over the years a lot industry funded studies have claimed they could not find any significant health effects. FOIA documents from as far back as the 1950s, indicate that they have known all along about the serious long term health effects of non-ionising microwave radiation. Governments and Industry have kept it secret to preserve industrial profit. 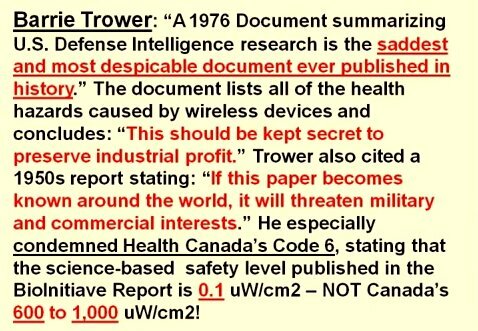 The vast majority of independent research on this subject, provides overwhelming evidence that microwave radiation causes biologic damage to the human body. The amount of damage depends on the length of exposure, and its intensity. The present Governments education policy is encouraging the use of WiFi based technologies in schools, to children at an ever early age. This is going to be exposed large numbers of Australian children to unprecedented amounts of microwave radiation! Who will benefit? Corporate profits will increase from the sale of all this technology to parents, and schools. Schools have a duty of care to your children. Schools should not be exposing children to unprecedented amounts of microwave radiation. I know parents who have taken their children out of school over this issue. 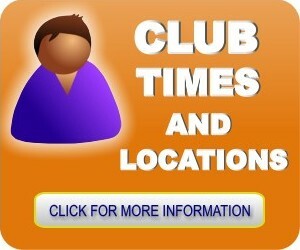 You will find more informative videos and information on this subject, at the club web site here. Pass this information on to parents and grandparents, to get them up to speed on this important issue. Freedom and Privacy being eroded by Technology! “WiFi can’t affect biology” … that’ pfaff. Ethernet is often faster with less “hiccoughs”, and more secure than WiFi now that many WiFi protocols have been cracked. Desktop WiFi & other network appliances with removable antennae can use impedence-matching cable, for instance (turn down transmit power). Welcome to the race to the bottom. Health is a great reason to avoid indoor microwave networks too. I prefer the precautionary principal. Pocket AM radio seems to pick up harmonics of WiFi if it’s nearby, btw. AM radio seems to be an inexpensive way of detecting strong local EMI/EMR sources. 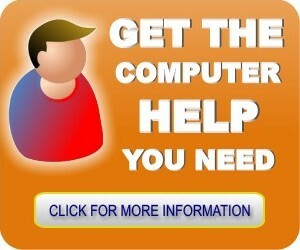 Maybe it can be an inexpensive tool to help reduce EMR in the home, school & workplace. I wonder what Australian Codes define as a minimum for general connective conductive cable, presumably copper, in household construction. Aluminum has been used here in construction in the past. Lovely stuff, if you don’t nick it and use the proper “Aluminium bimetal” rated wire nuts. Wouldn’t a poor AC connection register well on AM Radio?